The Celtics visit the Charlotte Hornets for the 4th and final meeting this season. The Celtics are 2-1 so far this season. The Celtics lost their first meeting 117-112 in Charlotte on November 19. They then avenged that loss with a 110-103 victory in Boston on December 23 and a second time 126-94 in Boston on January 30. Charlotte has won just 4 of their last 15 games and coach James Borrego decided to shake up the lineup in Thursday's game home game against the Timberwolves and it paid off. Miles Bridges and Dwayne Bacon started in place of veterans Nicolas Batum and Jeremy Lamb and played Willy Hernangomez, who has played just 4 games since February 2, 23 minutes and Malik Monk 19 minutes, the most minutes he has played in a month. The Celtics are 5th in the East and have pulled to within half a game of the Pacers, who lost to the Warriors on Thursday. The Celtics have fallen 4 games behind 3rd place Philadelphia and likely will not be able to catch them. They are 6-4 in their last 10 games and 17-18 on the road and have lost their last 2 games. The Hornets are in 10th place in the East. They are 3 games behind the 8th place Heat and 1.5 games behind 9th place Orlando. They are 4-6 in their last 10 games and 22-15 at home. They are looking for their 2nd straight win. The Hornets are just 1-9 in their last 10 games against the Celtics. The Celtics got good news on Aron Baynes ankle. Instead of the expected 6-8 weeks, he could be back within days. He is out for this game but it is possible he could play against San Antonio on Sunday. Gordon Hayward did not practice on Friday and has been ruled out for this game. Al Horford is expected to miss this game for rest and a sore knee. I'm guessing that Daniel Theis will get the start in his place. The Celtics have also brought back Greg Monroe on a 10 day contract but it isn't clear at this time if he will be with the team for this game or not. This signing makes sense as Greg already knows the system and is familiar with the team. He can help as Horford sits out games for rest and if Baynes needs a little more time to heal completely. For the Hornets, Cody Zeller will miss his 6th game with a knee injury. Willy Hernangomez and Frank Kaminsky will continue to play more minutes in his absence. Michael Kidd-Gilchrist banged heads with Amir Johnson on Tuesday and was put into the concussion protocol. He missed Thursday's game and will miss this game as well. Walker is averaging 25.0 points, 4.3 rebounds and 5.7 assists. Slowing him down will be a big key to winning this game. We will probably see Marcus Smart covering him on defense most of the time. Kyrie is expected to miss a few games between now and the end of the season and so he may sit out this game or Sunday's game against the Spurs. I don't expect him to play both games. Williams is averaging 10.3 points, 5.6 rebounds, and 1.2 assists. Hopefully in this game Marcus Morris will snap out of his slump as the Celtics will need some production from him with Horford expected to miss the game. He will also need to play tough defense on Williams to try to slow him down. Lamb and Brown are both former starters coming off the bench. Lamb is averaging 15.4 points and 5.7 rebounds and is a threat to score on every possession. Brown will need to slow him down as well as continue to produce on the offensive end. Defense Defense Defense!! - Defense is the key to winning every game. The Hornets average 110.4 points per game while the Celtics average 112.7 points per game. The Celtics are 5th with a defensive rating of 106.6 while the Hornets are 22nd with a defensive rating of 111.1. When the Celtics have lost recently, it's usually because they let their defense slip. The Celtics must continue to make defense a priority and play tough individual and team defense if they want to win. Rebound - Rebounding takes effort and desire and those things have been lacking in the Celtics at times this season. The Celtics must commit to give effort to get rebounds. They can't score without the ball and they can't continually give up extra possessions to the opponent by failing to rebound and expect to win. Be Aggressive - One of the strengths of the Celtics last season was their aggressiveness on the court. This year, we have only seen that aggressiveness in spurts. They need to be aggressive in going after rebounds, on defense, in attacking the basket and in going after loose balls. The Celtics must be the more aggressive team and play harder from start to finish. Play Team Ball - The Celtics play best when they move the ball and find the open man. They have to play TEAM ball and share the ball and no player should try to do too much or play hero ball. They also need to commit to play team defense. The Celtics play the best when the scoring is spread out and no one player has to do too much. Play 48 Minutes - The Celtics have gotten into the habit of either starting off slow and needing to catch up or getting off to a big lead and then letting up and allowing the opponent to get back into the game with a chance to win and a lot of confidence. They need to get off to a strong start and play hard right up until the final buzzer. On the Road - The Celtics are below .500 on the road and have not been able to consistently win away from home. They need to block out all of the distractions that come with playing on the road and in front of a hostile crowd and focus on playing their game. Don't Underestimate - The Celtics can't underestimate the Hornets because of the sub-.500 record. They are tough and they seem to do everything well except defend. 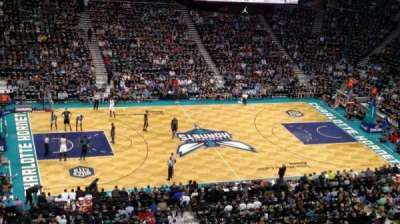 It's certain that the Hornets will come in motivated as they are still fighting to try to make the playoffs. If the Celtics let up at all, they are likely to get beat. Bench Play - The Hornets have some players coming off their bench that could give the Celtics trouble. Tony Parker, Willy Hernangomez, Frank Kaminsky, Jeremy Lamb, Nicolas Batum and Malik Monk have all given the Celtics problems in the past. Lamb had 18 points and 6 rebounds in the November game. Hernangomez had 19 points and 10 rebounds in their December meeting. Monk had 16 in the January game. The Celtics reserves must come out and play hard and match the energy of the Hornets reserves. TP to nickagneta for being the first to post in the game thread!!!!! Your game threads are really cool with all the images. Anyway, we've got to get back on track after the two losses to Denver and Philly. The 3 seed is likely out of the question, so now we can hopefully at least grab the 4th to have HCA in the 1st round. Charlotte may have a losing record but they're still not be taken lightly. Go Celtics. Get that 4th seed! Apparently Hayward, Baynes and Horford are all out tomorrow. Hayward's still working on getting his beautiful hair to look just right. Doubt he'd come back from a concussion that quickly. With no Baynes and no Horford I hope RW3 and Moose can get 15MPG each! I honestly wouldn't be surprised if Hayward missed another few games. Took Al a couple weeks to come back from concussion protocol if I recall correctly. Looking forward so seeing some more Timelord! We should be able to win this even without bigs. C'mon guys stop messing around and let's get the 4 seed and stop losing every time we get the opportunity to take it. Let's GO!! We need a win here! The 4th seed would be big for us! I think Forsberg already tweeted that Hayward is OUT along with Baynes & Horford.